Posts that are related to green techs. China To Build Straddling Buses? Freeing Up Traffic And Providing Self-Efficient Green Energy Public Transportation System? China is trying to work on the straddling bus concept. If my knowledge isn’t too little and too old about this concept, then I’m not wrong about that China is still working on this concept and has yet to actually go ahead and make this concept a reality. Nonetheless, the video which I will link/embed at the end of this blog post sounds as if China will eventually have straddling bus system in place in the next few years if not less time than that. Personally, I want to see China successfully transforms this straddling bus concept into a reality. If straddling buses work miracle in China, the rest of the world will follow suit to have build a better traffic system. It definitely will improve traffic condition for everyone in the world. What is straddling bus concept? Well, if you watch the video that I’m going to link/embed at the end of this blog post, it explains way better than I will ever be able to at the moment. I’m still not knowing enough about straddling bus concept really. Nonetheless, it seems that the straddling bus concept might use some sort of green self-charged energy system which will produce zero greenhouse gas effect, consequently it will be a very energy efficient public transportation system for humans. While behaving as a public transportation for humans, straddling bus concept provides zero obstacle to the normal traffic since straddling bus doesn’t have to be the object which blocks the normal traffic; straddling bus will just move/glide over the normal traffic. The video after the break explains that straddling bus doesn’t even have to need its own parking space since it can just park anywhere without really disturbing the normal traffic. Basically, straddling bus can just stop at mid-traffic and yet won’t cause a traffic jam at all. Of course, if there is another straddling bus that is behind the first one, then the first straddling bus which parked at mid-traffic will be an obstacle for the second one. Nonetheless, I wonder will straddling bus be able to just switch lane? At the moment, I don’t think straddling bus can do such a thing unless I’m totally wrong. Anyhow, I think straddling bus concept is very interesting, and it might be very cool for us to ride on. Check out the video right after the break to see what the fuss is about a straddling bus concept. What About Tesla Supercharger Stations? What About China Electric Ambition? What About United States Feet Dragging Electric Ambition? Pure electric cars aren’t exactly the kind of cars on most American minds when Americans are out to shop for a new car. If I’m not mistaken, even in 2012 most Americans probably prefer to shop for cars that rely solely on oil based, gasoline fuel. These same Americans are probably worrying about global warming, gasoline price hikes, world oil conflicts, and more of the same. Although they know oil dependency is definitely bad for America, but yet their car shopping behavior is still gearing toward for more gasoline fuel type of cars. The question is, why on earth people are worrying to death about being addicted to oil and yet they’re refusing to invest and buy products that are not deriving from oil? An apparent thing to do for these people should have been buying an electric car right? Wrong! The facts that explain why most Americans refrain from buying electric cars are well known. 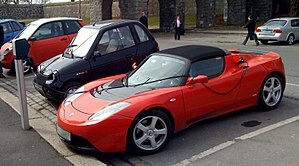 These facts are pure electric cars carry overly expensive price tags and take too long to have the electric battery to be fully charged, and there aren’t enough charging stations around. These facts speak up the inconveniences that people would not have any of them. It’s common sense really. Nobody wants to drive a pure electric car when he or she can just drive a gasoline car without having to seek out for a charging station that might in the end leave the electric car owner strains in the middle of the road, of nowhere; on the top of the previous inconvenience, everyone hates to wait for hours just so his or her car can be refueled; lastly, nobody wants to buy an overly expensive car when nobody can even be sure that the car or the relationship between the car and the car owner would last long enough to have make the overly expensive cost of a pure electric car worthwhile in the end. Tesla comes to the rescue. Tesla recently announces that it would install Supercharger stations across the entire United states by the end of 2 year period, and the trend would continue across the world as time progresses. Tesla touts that Supercharger stations solve the two immediate problems that most people concern about when they think of buying pure electric cars. The solution to the first immediate problem would be less waiting and more driving. Tesla touts that it takes only around 30 minutes for a Tesla to be charged by a Supercharger station. The solution to the second immediate problem would be Tesla Supercharger stations will expand across the United States, allowing Tesla drivers to conveniently recharge/refuel their cars on the need to charge basis; Tesla drivers don’t have to worry about charting specific, crazy route just so a charging station would conveniently be nearby when the battery runs empty. The bonus for Tesla drivers is that they don’t have to pay for their Tesla cars to be charged up at Supercharger stations, ever. Yep, Tesla car owners will never have to pay a dime for charging up their cars while on the road. Unfortunately, just like many other pure electric carmakers, Tesla has yet to build a pure electric car that won’t cost an arm and a leg from a car buyer. Tesla cheapest model is still going to cost around $49,000. $49,000 isn’t exactly an attractive car price for most Americans. Especially, we are living in an economy which huffs and puffs full of smoke, as if the whole engine of a broken car is about to go out for good. It’s no wonder many Americans are still preferring to be addicted to oil than buying a pure electric car. Meanwhile, China thinks about going around the electric car inconveniences by making electric car cheaper, battery swappable, and so on. According to Forbes “The Chinese Key to Electric Car Adoption” article, it seems that China is capable and well positioned to fast track a goal in which to boost domestic use of electric cars in large scale in a short period of time. China is probably worrying about a very high domestic demand for more cars by her increasing wealthy general population. Perhaps, China is worrying that too many gasoline type of cars on the road would only lead to more oil dependency and environmental issues at home. In a way, by looking at China’s healthy economic growth and an overpopulated population, we can make an educated guess that oil dependency in China will be on a scale that might just dwarf every other domestic oil dependency in the world. Furthermore, as China continues to seek out for more oil, it is entirely possible to predict that China might on a collision course with the United States in battle over oil. Or has it already begun? It’s unthinkable to see China and United States might wage war over oil. China is not a nation that can be pushed around easily anymore. China has the kind of economic prowess that can help China sustains any ongoing war. Furthermore, China is now heavily modernizing its entire armed forces, making China to be very capable in defending itself against foreign attacks. If everything goes wrong, China has its nuclear arsenal to incite world nuclear war. In short, China knows that she needs to build enough alternative energy infrastructure alongside the oil infrastructure while she is wealthy enough to do so, and by doing this she is well preparing for whatever might happen in the future. Obviously, oil is also a finite resource, therefore China doesn’t have to predict but know a future which depends entirely on oil infrastructure is not really a future. Meanwhile, United States seems to care less about alternative energy and care more of “pump baby, pump” — for more oil. OK, let me take it back. I think United States does care about the vigor of alternative energy market within the United States, but the United States is having a hard time to get anything right in exciting up her domestic alternative energy market. Without a thriving domestic alternative energy market, the United States will not be able to export this sort of products to the world. As time progresses, the world might need to have a thriving world alternative energy market, therefore the unprepared United States will miss big opportunity in exporting alternative energy products to the world. At the pace at which United States is gearing toward alternative energy, I think it will be a lot longer before the United States can declare that she is no longer an oil addict. If the United States continues to depend on oil and allow the alternative energies to slip away in disgrace, I think the United States will find herself to be dictated and irritated by more oil conflicts within the world for a long time to come. More oil conflicts equate to more wars, and I’m not sure the United States economy is healthy enough to allow United States to have so many ongoing wars at the same time or on an ongoing basis. In summary, I think Tesla is an inspiration for the United States’ alternative energy market. In fact, Tesla might also inspire other companies to be even more environmental conscious when they release products into the general market. Tesla can be green with Elon Musk. Elon Musk is a founder of Tesla, and he is also a chairman of SolarCity. According to Elon Musk, SolarCity can help Supercharger stations to generate more energy from solar power than the power that will be siphoned away by Tesla cars. No wonder Tesla’s ploy of allowing free of charge for charging up a Tesla at any Supercharger station is feasible. As Tesla pushing ahead for a greener energy market and a more polite world energy politics, I think the United States needs to create an environment that allows companies such as Tesla to thrive so the domestic energy future won’t be so relied on oil. After all, the more choices we have, the better, right? I like to end this blog post with a wish. I wish the players within alternative energy market will standardize their green technology. A great example of the benefits from having to set the standards for alternative, green technology is all electric cars can be charged at whatever electric charging station and not having to worry about driving the right brand of electric cars. Disclosure: At the time I’m writing this blog post (i.e., 09/25/2012), I do not have any investment (i.e., stocks) with the companies that I had mentioned within this blog post. Nonetheless, I have been purchasing up stocks from a Nanophosphate lithium iron phosphate battery and energy storage system maker, and I had not mentioned this company at all within this blog post. I do believe that alternative energy market will help stabilize the vicious demand for more energy around the world, and I do believe China will be a major alternative energy player. I hope United States will also be a major alternative energy player. I intend to buy more alternative energy related stocks whenever my wallet allows me to do so.